L'offre gratuite du jour pour Dimo MP4 Video Converter 4.2 était valable le 28 juin 2018! 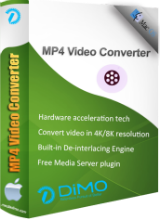 Dimo MP4 Video Converter offers the best way to convert any SD/HD/4K video file to the popular MP4 format for using on smartphones, tablets, TV, VR devices, media players, and video sharing websites. Transcode video files to iPhone, iPad, Android, Sony Vegas, VR, TV, PS4, etc. Provides basic editing functions for you to trim/crop videos, add watermark/effects, etc. 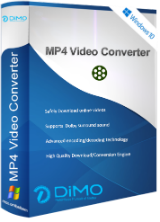 Dimo MP4 Converter for Mac is known as the best Mac MP4 conversion software to transcode any videos MP4 on Mac for use on popular portable devices, media players, online video websites and more.